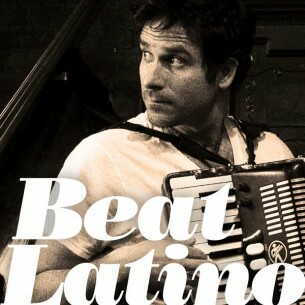 Beat Latino with Catalina Maria Johnson » Rana Santacruz and many others at World Music Fest 2012! Rana Santacruz and many others at World Music Fest 2012! It’s World Music Festival time in Chicago! For one glorious week, global beats are heard in every corner of the city! This week’s Beat Latino previews the Latin artist visiting us from afar – including alt folk troubadour Rana Santacruz from Mexico (now based in New York), Mediterranean-flamenco ensemble Canteca de Macao from Spain, folk trio Temps De Antans from Quebec, and more. ¡Ciudadanos del Mundo, a bailar! Citizens of the World, time to dance!